Will Shane be selected again? One of the most intriguing issues in Dominican cricket circles today is whether or not local hero Shane Shillingford would get another chance to play for the West Indies. To get a clear idea about this matter, the Sun asked several local cricket enthusiasts if they thought Shane would be selected again anytime soon and got some thought-provoking answers. "There is probably a cutoff point in terms of 'At what stage do I [West Indies Cricket Board] continue with a particular player?' I think he is still doing well at the regional level," Thomas said. "It would be nice to see him play again," Thomas added, but he is not sure Shane's 39 wickets at 24.30 in the recent WI first-class cricket season would encourage selectors to pick him again. However, he said it is good to see Shane playing in the T-20 franchise tournaments in the WI. "He is doing well for the Volcanoes franchise," he noted. Thomas said he does not know exactly what the selectors are looking for, so it's hard to figure out if Shane would be selected again for WI cricket. "His chances are still good. 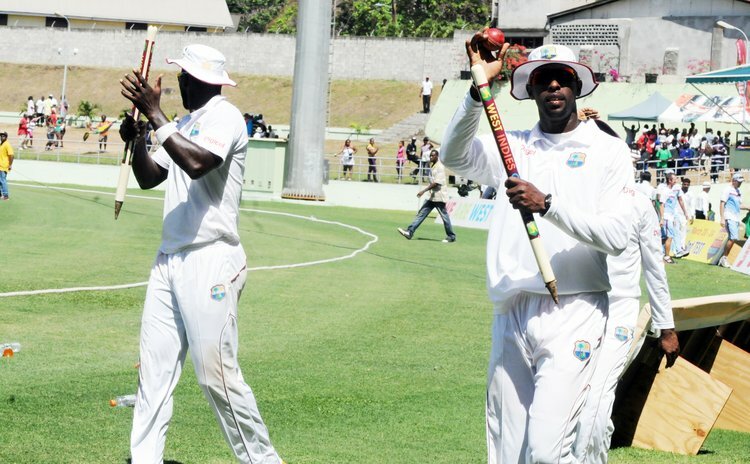 He is one of the mainstays for the Windwards, so he should be given a chance . . . he still bowls well, he is taking wickets plus he is batting…" Burton said. He pointed out that Shane has rectified his bowling action and the time is ripe to select him again, considering his respectable test record and the WI team's recent weak bowling performances. He commented that Barbados seems to be taking a big share of the pie when it comes to selection. "I don't think he is high up in their pecking order," Lewis said, adding that the WI selectors appear to favour leg spinners these days. "Looking at it realistically, I don't think his chances are good," Lewis said, "But he continues to do fairly well," he noted, adding that if he remains consistent, he will have a chance of selection. Lewis contended that Shane lost some of his impact since he was banned from bowling the 'doosra', which was a key weapon in his arsenal. Clem John believes Shane has lost his competitive advantage among regional off spinners by being unable to use his trump card-the 'doosra'- which had made him an elite off spinner. John said Shane's ability to bowl an effective doosra had set him apart from other regional off spinners, but since he was banned from bowling it, his chances of WI selection are very slim. Nevertheless, John said, "He has a chance to come back," remarking that Shane had a good performance with his corrected action in his latest tournament as he took a lot of wickets . John pointed out that Shane's performance indicated that he had successfully remedied his bowling action. "But when that happens, you lose your sting," he said. Shane can still keep pressing for WI selection, John asserted, pointing to Sunil Narine who was able to correct his bowling action and return to the WI team. "Shane Shillingford is still an option… I do not know why he is not being selected," Barrie said. "They can't say it's his performance because Shane's performance is very good. To be selected you have to perform and he is performing," he declared. "I am a sound supporter of Shane Shillingford and there are many spinners in the Caribbean who are not as prolific as Shane." And Shane's improved batting is also a plus, he said. Barrie declared that it is unfair that Shane not been selected, especially since current West Indies bowlers are not performing consistently well as he is. "In the Caribbean before, you had that type of 'big island mentality' . . . if you are not from Guyana, Barbados, Jamaica and Trinidad you cannot play for the WI team," Barrie commented. "This is wrong because if you are performing you have a right to be chosen," he noted, adding that Shane merited selection for his consistent good performances with an amended bowling action.